The Arkansas Board of Pharmacy has useful information for pharmacy technicians practicing in the state of Arkansas. 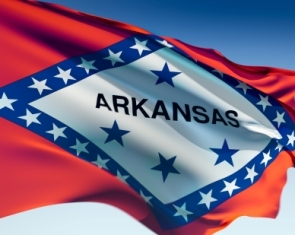 Currently the Board of Pharmacy in Arkansas has standardized state regulations in place requiring the certification of Pharmacy Technicians who want to work in the state. The Arkansas Board of Pharmacy website homepage has a link on the top of the page for License Renewals. Below this is the Board's mission statement. The left side of the page lists navigation links, including information about the Arkansas Board, Board Announcements, Events and News from the Board, Information for Consumers, Information for Pharmacists, a link to Instructions and Forms, a Lawbook about the Practice of Pharmacy in Arkansas, Frequently Asked Questions, Links to other Associations, Groups, and Government Websites, and a Contact Us Link. One link on the Links page is to the Arkansas Pharmacy Support Group Website. This group offers confidential support for pharmacy professionals in Arkansas (pharmacists and pharmacy technicians) who struggle with addictions. On the Instructions and Forms page, under "Pharmacy Technicians", you will find forms for a Technician Application and for Technician Reinstatement. The fee to become registered includes an application fee as well as a fee for a criminal background check.